The Resiliency Center offers customized professional trainings that can be held at our Center or at your location. 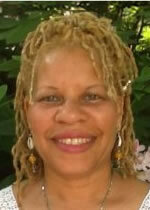 Tracey Smith creates customized recreational therapy workshops and trainings that get everyone engaged. These trainings work with various populations within various settings including women/men, adolescents, teen parents, adoptive adolescents, adjudicated/at risk youth, participants affected by violence & trauma, and participants with recovery challenges. 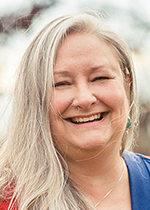 Elizabeth Venart creates customized professional trainings on trauma and resiliency that educate individuals and organizations, provide forums for increased self-awareness and community-building, and creatively support the needs of helpers to nurture themselves as well as others. Tracie Nichols creates learning experiences using nature inspired resiliency tools as a bridge between our increasingly complex home and work lives and decreasing access to green spaces. Previous workshops have included Scent of Hope: Using the power of scent to craft a healing space for your clients (and you), Deep Restoration Retreat, Using Aromatherapy to Support Resilience in Children, Aromatherapy to Ease Stress, Nature as Healer: Nature-based wellness practices.